You may have a big home, but you will always require some additional storage space. Only a few houses will have a basement for storage. Thus, most people will prefer storing items that they do not regularly use in the attic of their homes. This is an excellent storage option, though; its durability and temperature conditions ought to be taken into account. To reach your attic, you need a way to get there. However, the temperatures in the loft tend to change randomly especially during some hot months. Despite its temperature levels, you still have to utilize it for your storage needs. Here are several handy tips to help if you want to use your attic for storage space. 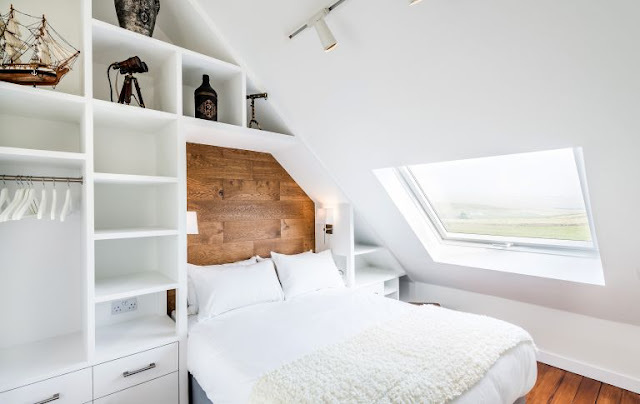 Lofts can be hard areas to access, so it is crucial to evaluate your attic space you want to use and its point of entry. It can have a built-in ladders entry panel, or you could also try a loft ladder for ease of access. A rail can also be installed at the entry area to facilitate your movement up the ladder. Also, you should select an area within the attic that is close to the point of entry so that you avoid getting yourself to unsafe areas. Also, your loft should have a proper floor for safe move-around and durability. The floor must be secured and all the weight restrictions evaluated to know the number of items that should be stored in the attic. See, insulation minimizes heat loss or gain. It does that by supplying an obstruction between areas that experience different temperature. So, fitting loft insulation properly will not only preserve your items but also regulate the temperature of your house in all seasons. Some companies offer excellent insulation material that reflects light away from your attic to maintain temperature. Sometimes moisture may come into the loft which can lead to mold build up. This can lead to a crumbling ceiling and stains. So, if you intend to protect your attic from becoming excruciatingly humid, consider proper ventilation. This protects your items against damage. First, before you store an item in your attic, it is wise to ask yourself how often you shall need the item. For example; holiday decorations and some outdoor equipment may not be required multiple times throughout the year; therefore they are ideal items to keep in the attic. And remember, they cannot be affected to minimal changes in temperature; thus they can tolerate staying in the attic that experience periodical temperature changes. However, you should not store delicate items in your attic. But if you have to keep some clothing in your loft, pack them in airtight containers to bar them from unforeseen damage. If you intend to utilize your attic for storage purposes, make sure it is highly accessible and safe. Also, it should be properly insulated to allow temperature regulation. Ventilation too should be prioritized, and you should only keep items that are not affected by adverse temperature changes such as too much coldness or hotness.